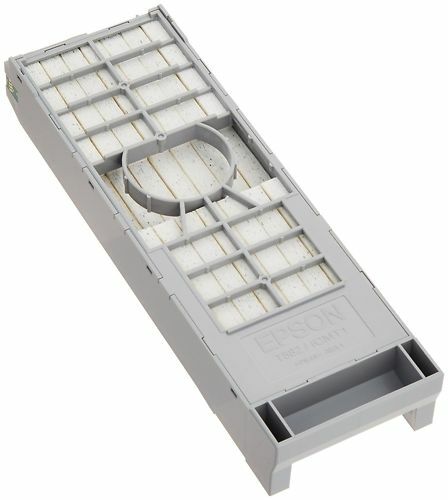 80ml Ink Cartridges of the fantastic, well-tested Epson Ultrachrome K3 ink and maintenance tanks for the Epson 3800. 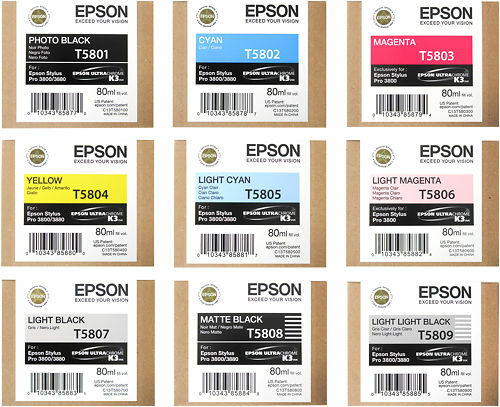 The Epson 3800 comes with 9 economical 80ml ink cartridges with quality Epson Ultrachrome K3 ink allowing you to achieve superb quality colour prints with rich, accurate colour and easy, neutral black and white prints. 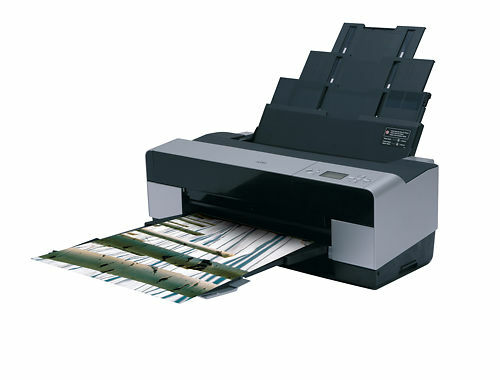 Hand curated articles, links and downloads to help you get the best from your Epson Stylus Pro 3800 Inks.